Husky boys and big and tall mens vest pattern includes button down and zippered vest with pockets. 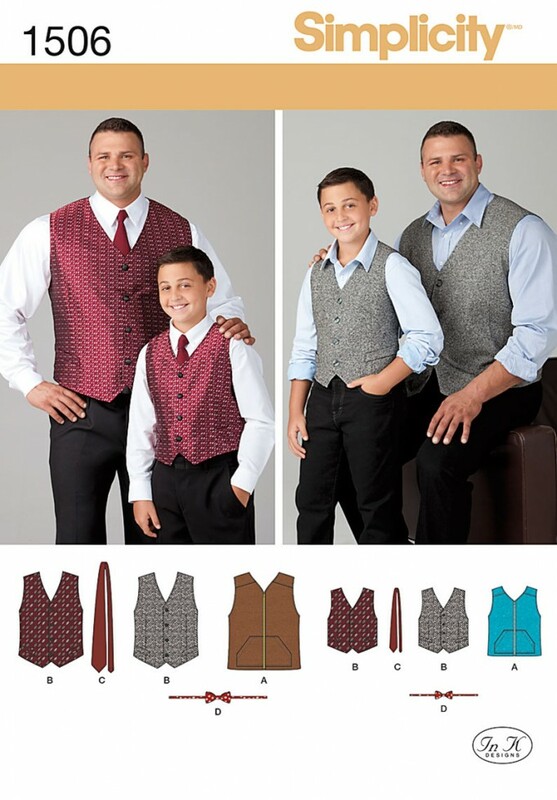 Button down vest has adjustable back buckle. Also includes neck tie and bow tie with back closure.